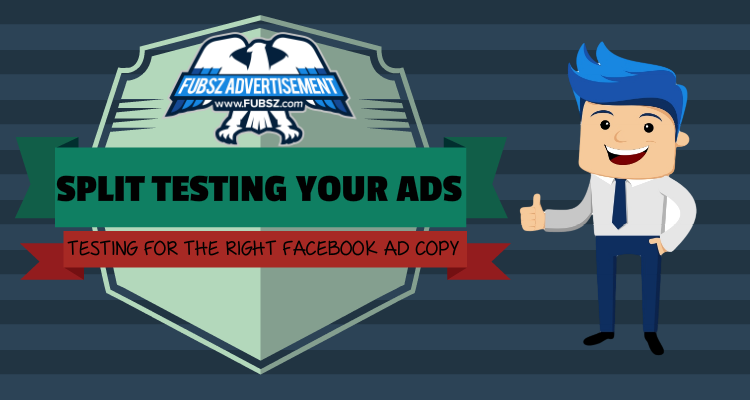 One of the best results and tools I have found with Facebook ads is the ability to split hundreds and even thousands of ads with a low low budget. If you have a Facebook campaign running while you read this and it only has 1 or 2 ads in the ad set then you are missing on a lot of beautiful results! Put yourself in the viewers shoes, what is the very first thing you see? for me personally it’s the image, always the image. The image grabs your attention as you are browsing through the content filled, colored filled, information filled news feed. How can your ad image pop out and make it self known? Although I have seen many many ads that use a brightly colored border around an image to attract attention but recently it doesn’t seem to be a good marketing tactic primarily because people are used to it, they have banner blindness, it looks like an ad so people avoid it. It does not hurt to try and split test a few images including the brightly colored borders, it might work for you! In terms of headlines, I like to write 2-3 really attractive headlines about the main idea of what I am promoting, something that ties along with the image and tells the user a dilemma he or she is facing, try including a question into the headline, sometimes questions perform better as it hooks the reader in especially if he or she does have that issue. Body texts is the main bread maker of the ad, although I haven’t seen a difference in CTR or CPC when using different variations, I do feel that the body text is what makes the user click on your ad. In this area you should focus on explaining in more detail why they need to click on the ad and how it could help them. Description is used to add more information into the ad itself, I like to use it as a disclaimer or add a few more call to actions if I needed to. The optimal split testing ad set for me is 1-2 headlines, 4-6 images, 1-2 body texts and 1-2 descriptions. You never know which ad will be the best among them! It really is worth a try since it will definitely benefit you in the long run!